On the back of the unprecedented success of the Furutech SK-III brush, Furutech has now released a brand new ‘revolutionary’ accessory. At first glance, you could be forgiven for thinking that the Furutech SK-Filter anti-static brush is nothing more than a traditional anti-static arm with a facelift. 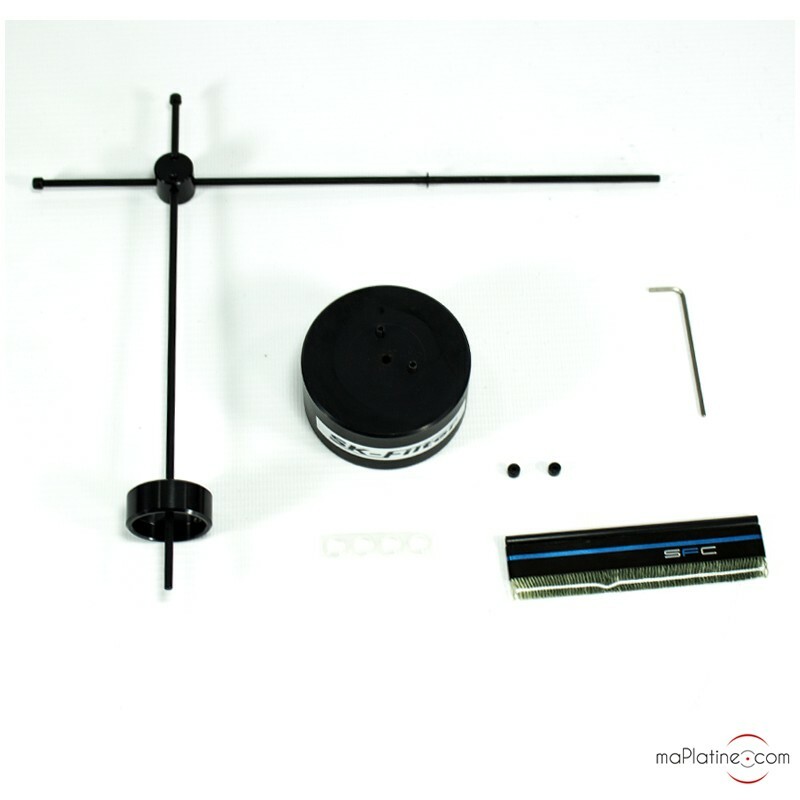 But we know Furutech, and there is definitely something more interesting going on with this unconventional product. 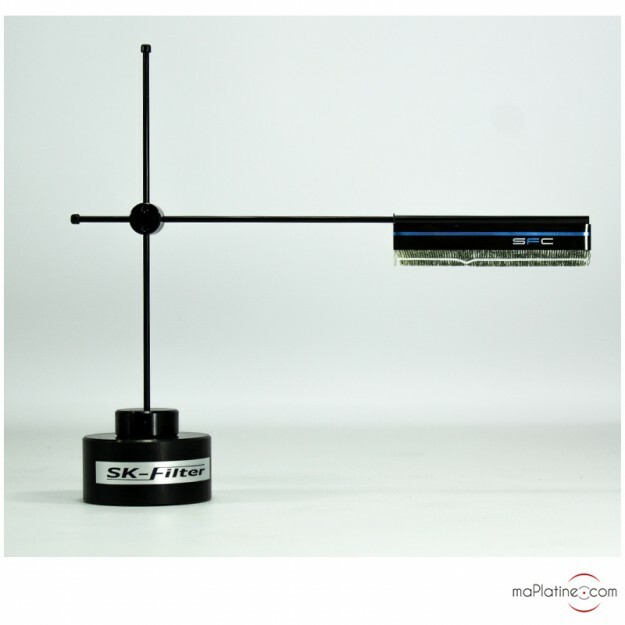 The SK-Filter consists of a base fitted with a vertical axis, which reaches up to cross a horizontal arm. At the end of the arm is an ‘SPC’ brush made with 100% Thunderon® fibres. 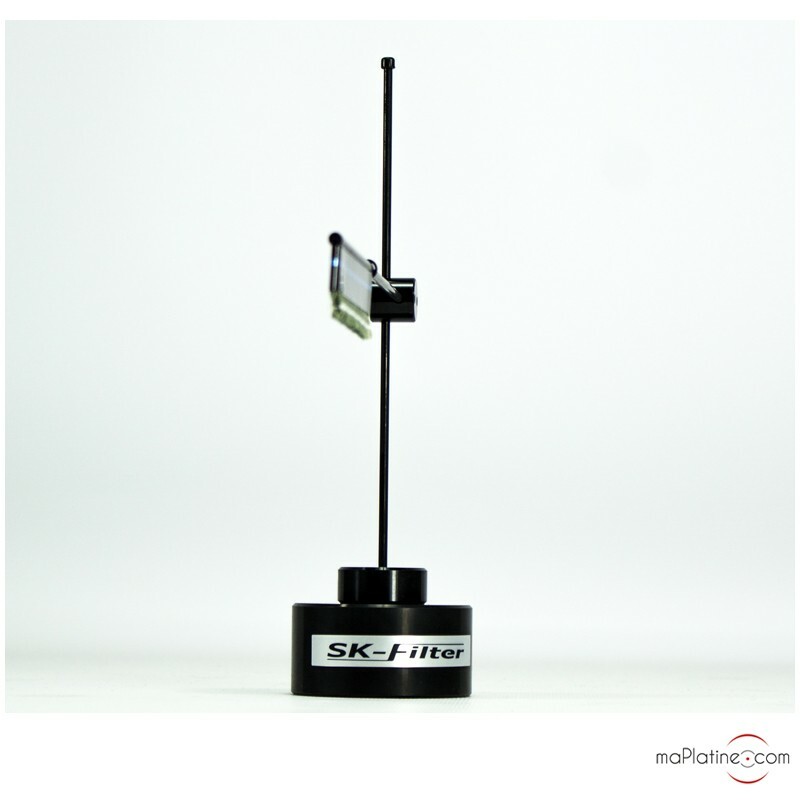 This is a unique material made from a very fine acrylic fibre chemically bonded with copper sulphide. 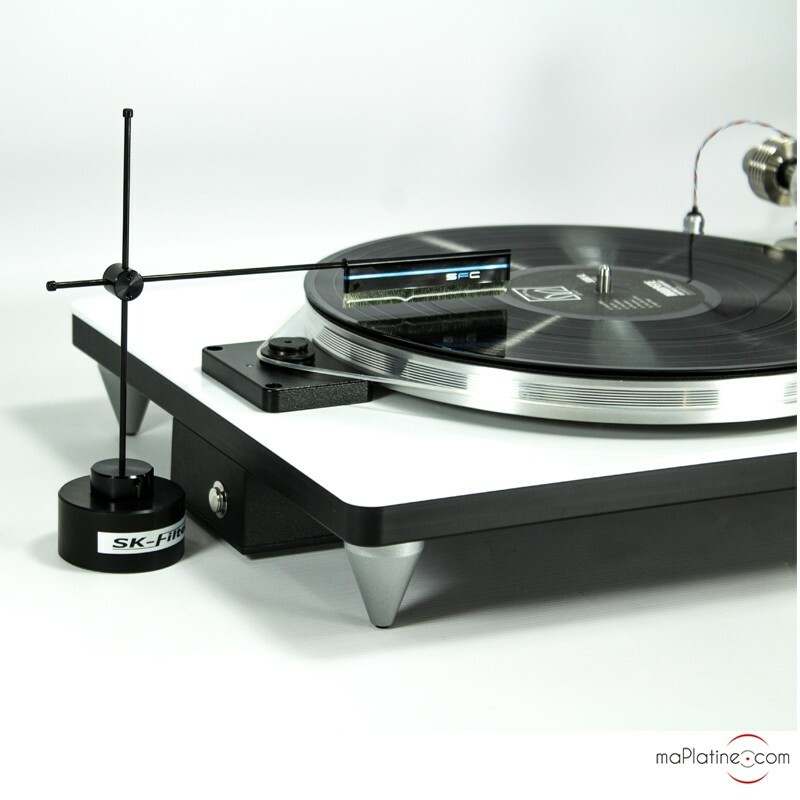 The exact combination of the fibre quantity and length required to efficiently remove static from the surface of your vinyl records was subject to extensive testing. 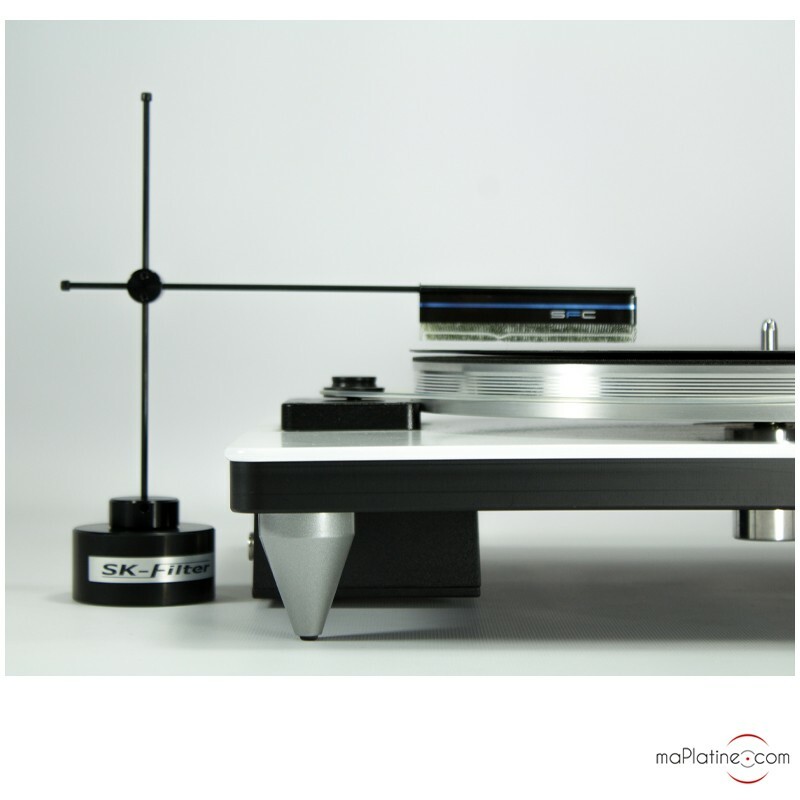 Furutech has spent long hours listening and taking measurements to find the perfect balance. The principle is simple and incorporates the following fact: a record rotating on a turntable platter encounters friction with the air. This in turn causes static ranging from 3,000 to 20,000 volts! 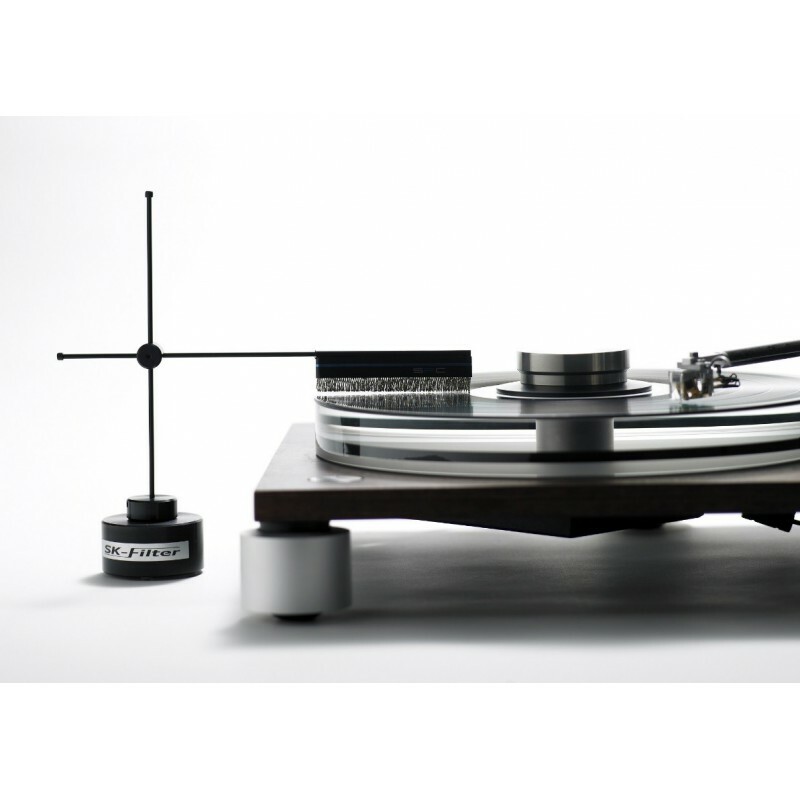 The FURUTECH SK-FILTER arm claims to be able to remove all static electricity during rotation without ever touching the surface of the record. In fact, all you need to do is position it next to your vinyl turntable and adjust the height until the fibres hover 1-2mm.above the grooves. The SK-Filter gets rid of all static from the surface of the grooves, without ever actually coming into contact with the surface of the record. And the results truly are impressive – with this filter, audible static is a thing of the past! The sound quality feels so much more transparent, with significantly less aggressiveness and muddiness in the midrange and treble registers.